The United States's main ally in Syria on Thursday rejected President Donald Trump's claim that ISIS militants have been defeated, and warned that the withdrawal of American troops would lead to a resurgence of the extremist group. The U.S.-backed Syrian Democratic Forces said Thursday a White House decision to withdraw from Syria will allow an ISIS revival and threaten the battle in eastern Syria. The Kurdish-led force said pulling U.S. troops and officials out of its region would have "dangerous implications" on international stability. This would also "create a political and military vacuum in the area, leaving its people between the claws of hostile parties," the statement said. U.S. President Donald Trump's decision to pull out completely was confirmed by U.S. officials and is expected in the coming months. The move stunned U.S. lawmakers and allies and upends American policy in the Middle East. Trump continued making the case for the decision in a series of tweets early Thursday, arguing it was "no surprise" given promises he made on the campaign trail in 2016. Trump said the U.S. would save "trillions of dollars" and that "in almost all cases," American interventions in the Middle East were not appreciated by their partners in the region. "Time for others to finally fight," said Trump. For NATO ally Turkey, the news is likely to be welcome. The two countries have long had their relations strained by differences over Syria, where the United States has backed the Syrian Kurdish YPG in the fight against the Islamic State in Iraq and Syria. Turkey considers the YPG a terrorist group and an extension of the outlawed Kurdistan Workers Party (PKK). "Now we have Manbij and the east of the Euphrates in front of us. We are working intensively on this subject," state-owned Anadolu news agency on Thursday reported Defence Minister Hulusi Akar as saying during a visit to a Qatari-Turkish joint military base in Doha. 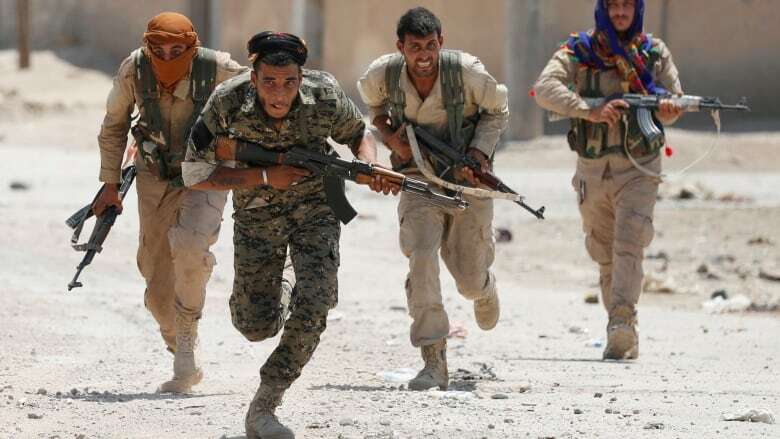 "Right now it is being said that some ditches, tunnels were dug in Manbij and to the east of the Euphrates. They can dig tunnels or ditches if they want, they can go underground if they want, when the time and place comes, they will buried in the ditches they dug. No one should doubt this." Turkey has already intervened to sweep YPG and ISIS fighters from territory west of the Euphrates over the past two years. It has not gone east of the river, partly to avoid direct confrontation with U.S. forces. Turkey, along with Russia, agreed in September to provide a buffer zone around Idlib to protect citizens in the area that could be the last major battleground between the rebels and the Syrian government. 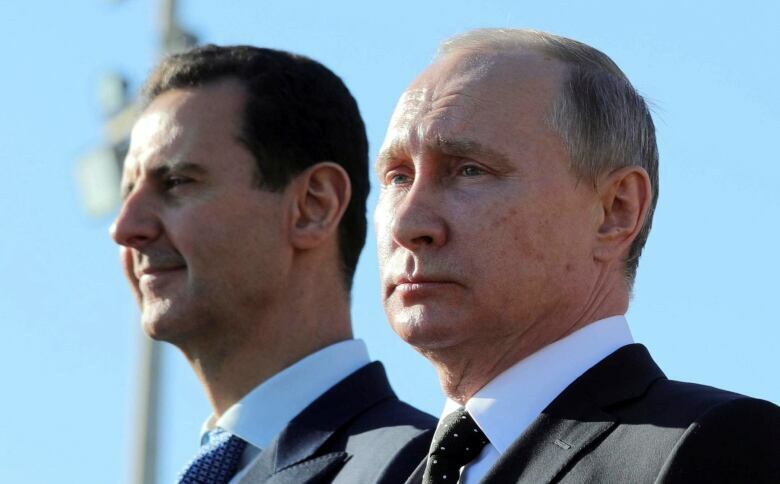 Russia since 2015 has helped keep Syrian President Bashar al-Assad in power by providing military support. Speaking at his annual year-end news conference in Moscow, Russia President Vladimir Putin said he welcomed the decision by the U.S. When asked about Trump's declaration about ISIS, Putin said he "generally" agreed that they had been defeated. Putin said "major advances" had been made in defeating militants in Syria, but, "there is a danger that those terrorist groups might infiltrate neighbouring countries, for example, Afghanistan and their own countries." Putin admitted he was still unclear what the U.S. withdrawal will mean in practice. France, meanwhile, said it will keep its troops in northern Syria for now. "It shows that we can have different priorities and that we must count on ourselves first," Europe Minister Nathalie Loiseau told C-News television. "For now, of course we are staying in Syria because the fight against Islamic State is essential." France is a leading member of the U.S.-led coalition fighting militants in Syria and Iraq and has some 1,000 troops, including special forces based in the north of the country, deployed alongside local Kurdish and Arab forces. France is especially sensitive to the ISIS threat after several major attacks by militants on its soil in recent years. As well, hundreds of French nationals have joined the group in Syria. Defence Minister Florence Parly acknowledged on Twitter that the militant group had been weakened and lost some 90 per cent of its territory, but said the battle was not over. President Emmanuel Macron spoke with Trump on Wednesday, diplomats said. In April, when Trump previously announced a U.S. withdrawal, Macron persuaded the U.S. leader that Washington should stay engaged by citing the threat of Iran in the region. "We're used to it now with the Trump administration. The devil is in the detail," said one French diplomat. Israel will escalate its fight against Iranian-aligned forces in Syria in light of the U.S. announcement, Prime Minister Benjamin Netanyahu said on Thursday. "We will continue to act very aggressively against Iran's efforts to entrench in Syria," Netanyahu said in televised remarks, referring to an Israeli air campaign in Syria against Iranian deployments and arms transfers to Lebanese Hezbollah guerrillas, carried out with Moscow often turning a blind eye. "We do not intend to reduce our efforts. We will intensify them, and I know that we do so with the full support and backing of the United States." Israel has long tried to persuade Washington that Iran and its Shia Muslim militias, sent to reinforce Damascus, pose a greater threat than ISIS. "Daesh [ISIS] has indeed been defeated in Syria, and this is greatly thanks to America," Israeli Education Minister Naftali Bennett, a member of Netanyahu's security cabinet, said in a statement to Reuters. "But Iran are already moving in, and they are a threat to the whole free world." Israel also has concern that the U.S. exit could reduce its diplomatic leverage with Russia, the Syrian government's big-power backer. A Russian reconnaissance aircraft was shot down by Syria forces in September, with officials in Moscow quick to point out the Syrians were responding to an Israeli airstrike directed at Iranian-backed positions. The U.S. decision came a day after the State Department announced a tentative sale of a $3.5-billion US Patriot missile system to Turkey. A State Department spokesperson told CNN the sale was related to defence within the NATO alliance and had "no connection to other policy matters."